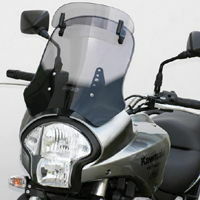 "Unfortunately the standard Versys screen doesn't afford the rider alot of protection from the elements. A lot of owners on versys.co.ukchoose to fit either the optional larger 'Vario-Touring' (adjustable) screen or MRA touring screen. 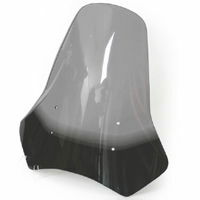 If you plan on doing some touring on your Versys, this will improve comfort no end"
!quote, 4025066113675, 06, 07, 08, 09, 2006, 2007, 2008, 2009, motorbike, bike, windshields, wind, shields, windscreens, motorcycle, vision, screens, gray, tinted!